Crois Chnoca Breaca, Stoneybridge, South Uist. RCAHMS 1928; A S Henshall 1972; Information from A.O. archive 930/4. 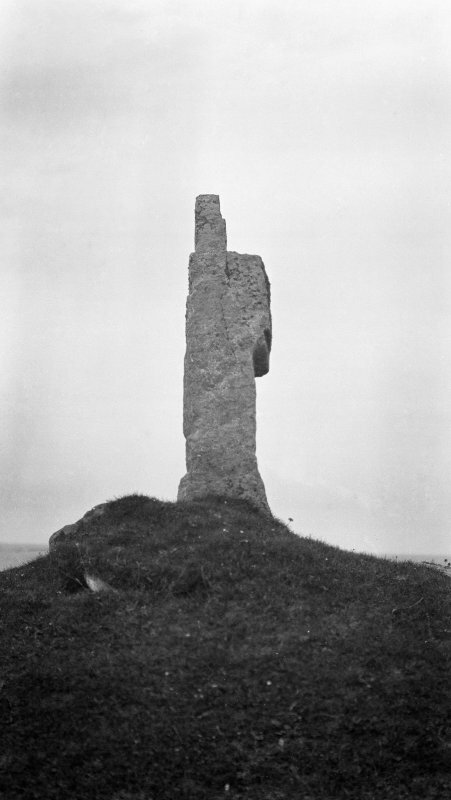 The stone is as described by RCAHMS; the grass-covered mound of stones on which it stands is probably packing material. The name is still known locally.